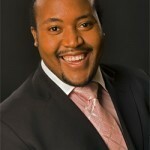 Njabulo Madlala a "compelling baritone soloist"
Njabulo Madlala was soloist in Mahler's Lieder eines fahrenden Gesellen with the English Symphony Orchestra/Kenneth Woods at the new Elgar Hall in Birmingham on 10 October. Christopher Morley of the Birmingham Post reported "Mahler's Songs of a Wayfarer brought a compelling baritone soloist in Njabulo Madlala. His communication of numbed grief was immediately hypnotic, his voice smooth and shapely, with Woods finding portents of far more Mahler symphonies than just the First with which it is so closely associated."